What are the bridge components? 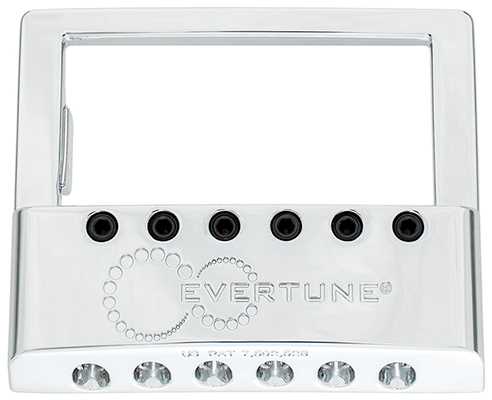 The core of EverTune's patented all-mechanical system is the "saddle module". This provides the bridge's constant tension; there is one per string. The saddle module is an enclosed system that requires zero maintenance. The top part is the saddle. The bottom is the spring that counter-balances the string. The terms "saddle" or "module" can be used interchangeably when talking about this part. 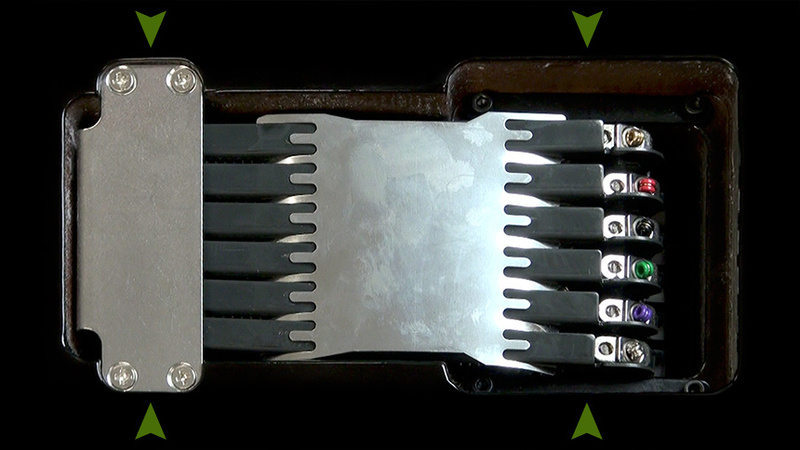 The "faceplate" is used to connects the bridge to the guitar. 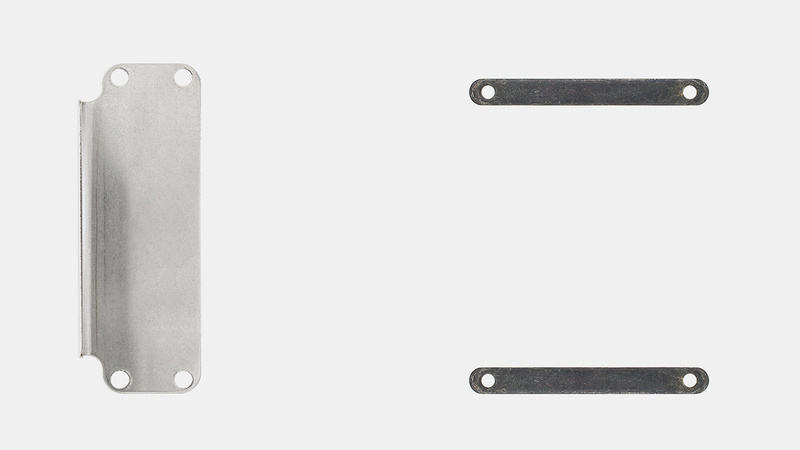 The only difference between the F, T and G model bridges is the faceplate. On the top are the action screws to adjust saddle (string) height. On the back are the intonation screws that move the module forward and backwards. Note: the guitar shape isn't the determining criteria for which model should be selected. The only criteria is the string height at the bridge. To find out more about this, visit Which model should I get? Holding all the modules together at the bottom is a part called the "comb". Other small parts, such as the "footplate" (and "mounting plates", used for F and T models only) complete the assembly. Shown below is an F model bridge, assembled and installed inside the guitar's cavity (from behind). Shown after that are the parts, matched to the green arrows in the installed photo. The comb installed, connecting saddle modules. The footplate and mounting plates complete the assembly. No. It is designed to be a fixed bridge. 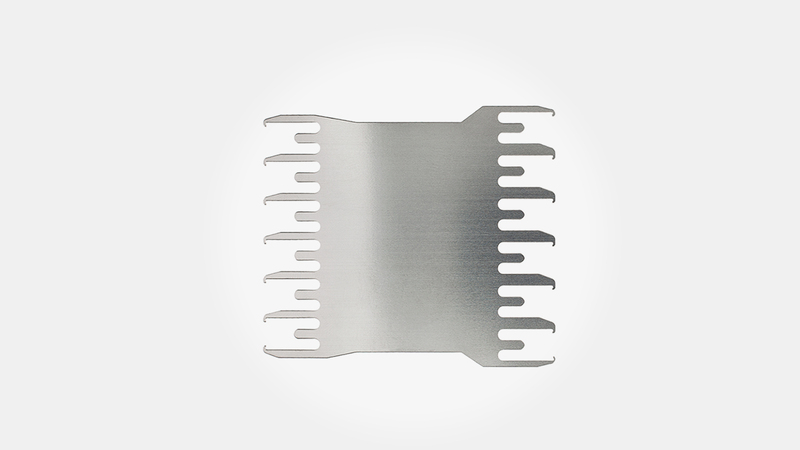 However, EverTune technically does have floating saddles that do tremolo when moved with a finger or the EverTune hex key. The floating saddles are only necessary for constant tension. 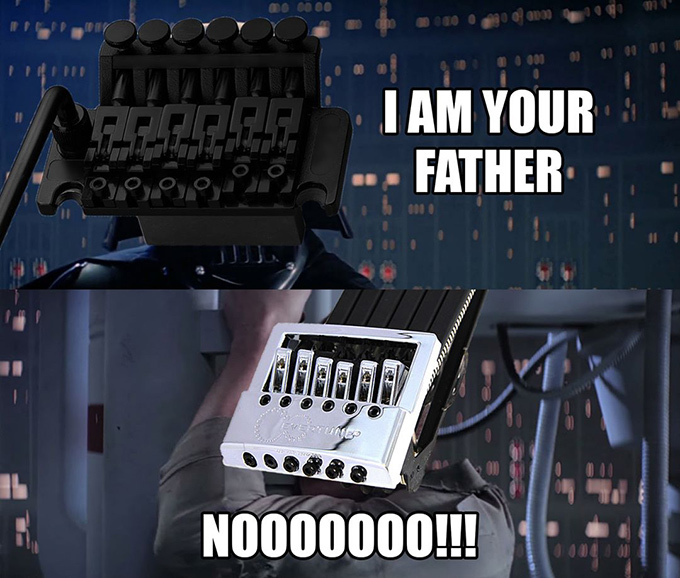 We do plan to make a tremolo EverTune, however it is impossible to say when it will be released. Will it replace a tremolo? 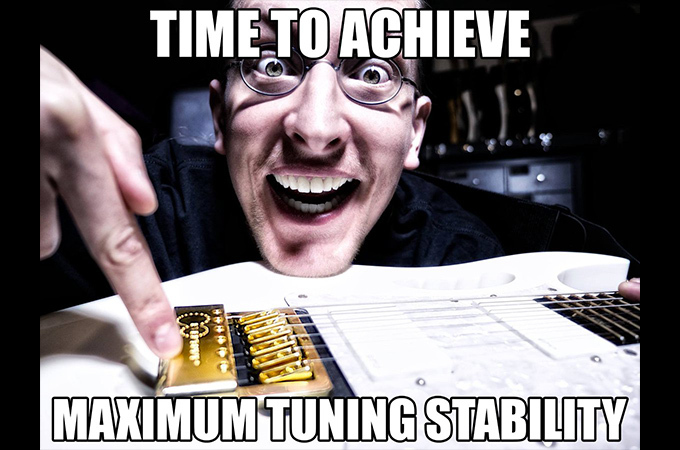 EverTune can be fitted into most guitars that have Floyd Rose and Kahler and any other tremolo bridges. 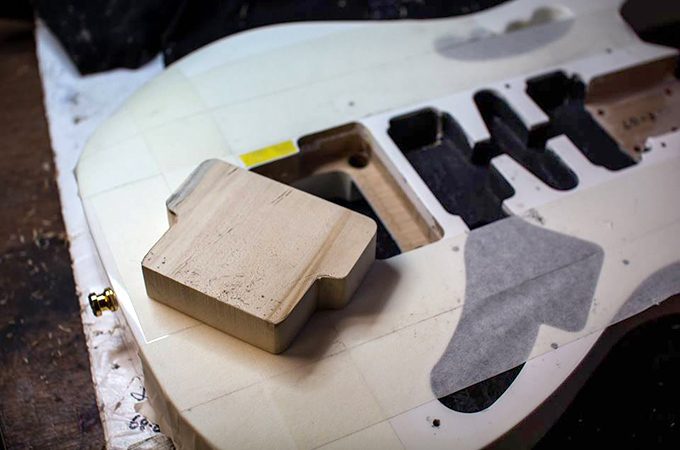 However, it is always the case that EverTune will require its own custom routing adn many cases some small wood holes from the previous bridge route will have to be filled. 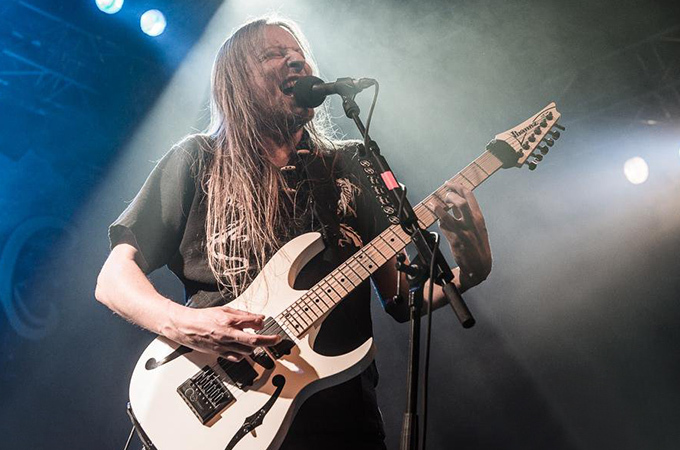 We have seen many guitars with Floyd Rose and other tremolo bridges switched to EverTune and any qualified local Luthier and tech should be able to perform the installation if she/he first looks at the info here. 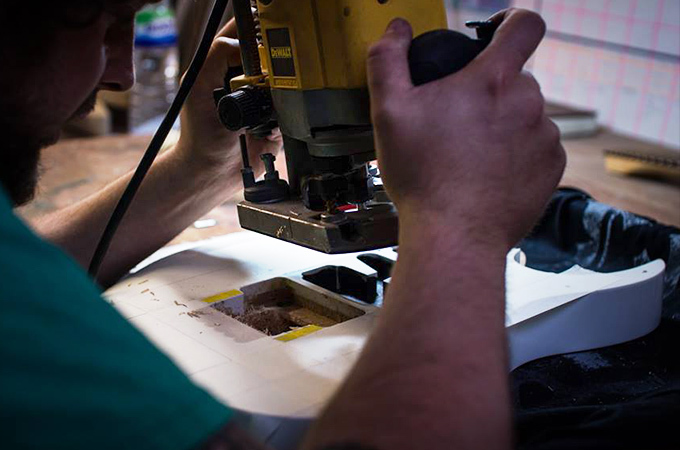 To find out more about EverTune's in-house installation service, see here. For a list of 3rd party installers that we know of see here. 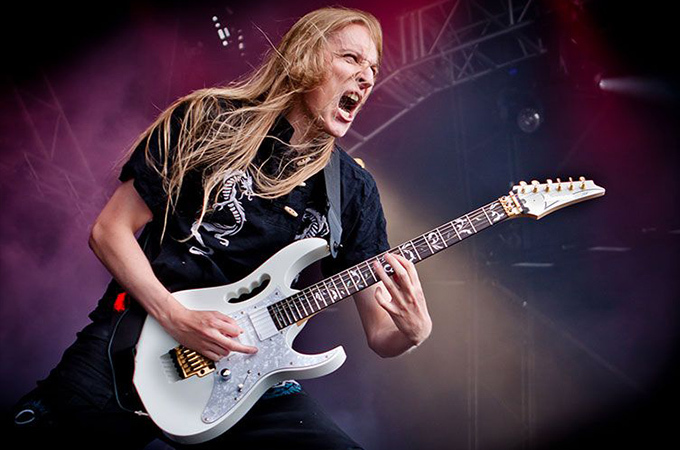 Below is a great example of Jari's Ibanez Jem retrofitted by Daemoness Guitars. Why is the T model bridge pickup flipped? In traditional telecaster bridge pickups, a large nub extends under the pickup on the bridge side of the pickup. 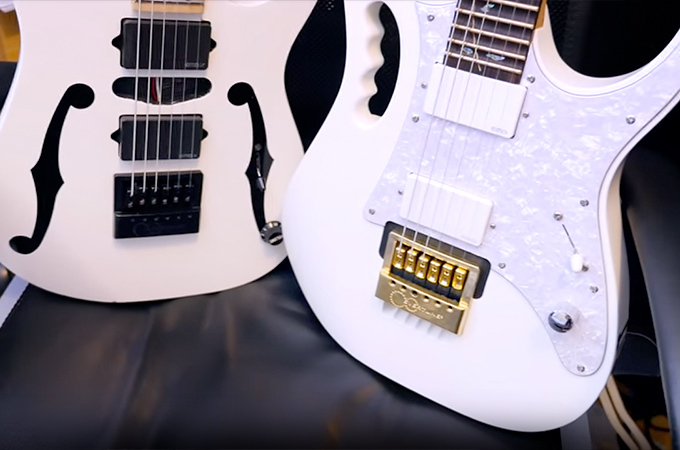 Since the bottom of the EverTune bridge also extends under the bridge pickup, it is often necessary to flip the bridge pickup 180 degrees to install. This moves the position of the pole pieces slightly. In our experience, this slight move is unnoticeable tonally.